The Comic Strips feature is no longer available on WordPress.com as the Panel theme has been retired. The Panel theme on WordPress.com has some special features specifically geared towards publishing a webcomic. 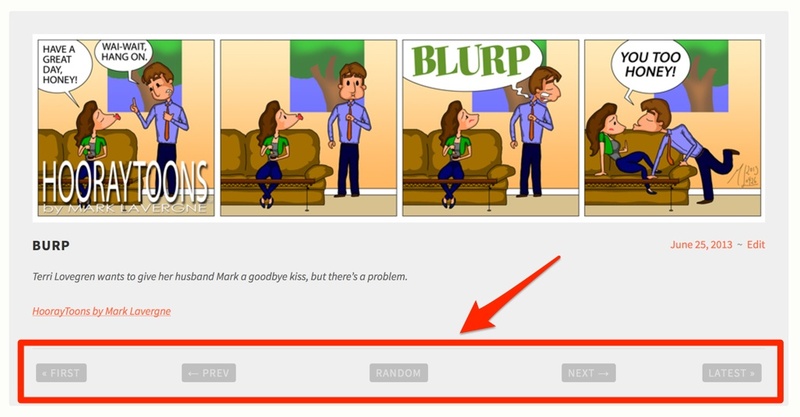 Your users can easily read through your comics by using the navigation buttons underneath each comic. They’ll have easy access to the beginning of your strip or to the latest entry, and they can instantly load the next or previous installment by using the left (←) and right (→) arrow keyboard keys. Panel allows you to upload a new strip just by dragging and dropping it onto your site. The image will upload, and you’ll have a chance to add a title, categories, and tags. After that, just click Publish to update your site with the new comic. If you’re moving your comic from another platform or from a self-hosted WordPress blog, there are a few steps to take to get Panel to properly showcase your comic. Open the All Posts dashboard: Posts » All Posts. 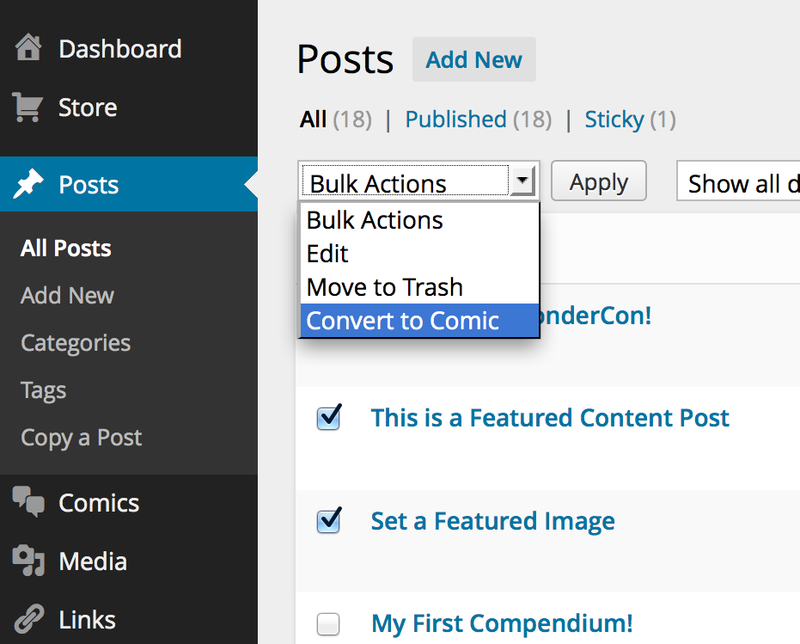 Check the checkbox next to any posts that are comics and then choose “Convert to Comic” from the Bulk Actions dropdown. Your comic posts will now be listed under Comics » All Comics, and Panel will show your latest comic at the top of your homepage. Learn more about how to set up the Panel theme.